Being diagnosed with type 1 diabetes at a young age is associated with more cardiovascular complications and higher risk of premature death than being diagnosed later in life, independent of disease duration. The findings, published in The Lancet, come from a large observational study in Sweden that followed over 27,000 individuals with type 1 diabetes and more than 135,000 matched controls for an average of 10 years. With around half of individuals with type 1 diabetes diagnosed before the age of 14, the authors stress the need to consider wider and earlier use of cardioprotective measures such as statins and blood pressure lowering drugs in this high-risk population. "Although the relative risk of cardiovascular disease is increased after an early diabetes diagnosis, the absolute risk is low", says Dr. Araz Rawshani from the University of Gothenburg in Sweden who co-led the research. "However, age at disease onset appears to be an important determinant of survival as well as cardiovascular outcomes in early adulthood, warranting consideration of earlier treatment with cardioprotective drugs." Professor Naveed Sattar, co-author, University of Glasgow (UK), explains: "While the absolute risk levels are higher in individuals who develop diabetes when older, simply due to age being a strong risk factor, the excess risk compared to healthy controls is much higher in those who developed diabetes when younger. If this higher excess risk persists over time in such individuals, they would be expected to have highest absolute risks at any given subsequent age. Indeed, those who develop type 1 diabetes when under 10 years of age experience the greatest losses in life expectancy, compared to healthy controls. This is something we did not fully appreciate before." Type 1 diabetes mellitus is the second most common chronic disease in children, accounting for 85% of diabetes in the under 20s. But it's not unusual to develop the disease as an adult. Worldwide, the incidence of type 1 diabetes in children aged 14 years and younger has risen by 3% a year since the 1980s. It's well known that people with type 1 diabetes are at increased risk of health problems and have shorter life expectancies, partly due to premature cardiovascular disease. But, until now, the impact of age of diagnosis on this excess mortality and cardiovascular risk was unclear. Cardiovascular risks and survival were strongly related to age at disease onset, with people diagnosed before the age of 10 having five-times greater risk of heart attack and coronary heart disease than those diagnosed at age 26-30 years. The younger group also had much higher risk of heart failure and stroke than peers without diabetes and those diagnosed at an older age (figure 3). Life expectancy was also markedly shorter for women with type 1 diabetes. Women who develop the condition before 10 years of age die on average around 18 years earlier than their diabetes-free counterparts (average life expectancy 70.9 years vs 88.6 years), whilst men with early onset type 1 diabetes die around 14 years earlier (69.1 years vs 83.3 years). Individuals diagnosed at 26-30 years old lose, on average, about 10 years of life. Professor Sattar adds: "People with early onset diabetes should more often be considered for cardioprotective drugs such as statins and blood pressure lowering medication when they reach 30-40 years of age. Currently, only around 10-20% of individuals with type 1 diabetes are taking statins by the age of 40. Also, improving glycaemic control and smoking cessation programmes could meaningfully prolong the lives of these individuals. The good news, however, is that recent technological advances are helping younger patients manage their glucose levels better." The authors note some limitations including that they did not have information about patients' glycaemic control before enrolment in the register. What's more, they only included patients who had the condition for 20 years or less to provide contemporary comparisons of cardiovascular risk that reflect current diabetes management. Key strengths include the large cohort, individual controls, adjustment for diabetes duration, the range of age subgroups, and variety of cardiovascular outcomes. Life expectancy analyses used the entire cohort, regardless of duration of diabetes. 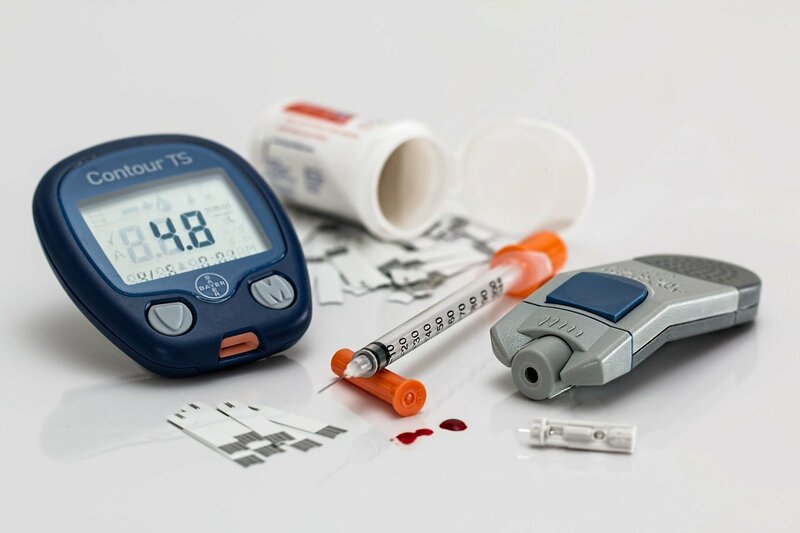 Writing in a linked Comment, Marina Basina and David M Maahs, Stanford University (USA) say: "These data will increase attention towards cardioprotection at younger ages and specifically for those with an earlier age of type 1 diabetes onset. Practitioners need a stronger evidence base, including confirmatory reports from other registries and clinical trials, to clarify proper therapy and translate research findings to care guidelines and clinical practice to improve mortality and cardiovascular disease outcomes for individuals with type 1 diabetes."